Are you looking for Microsoft Excel training courses Richmond but course outlines don’t quite seem to fit your requirements? Some learners need to know how to create pivot tables. This may not be of interest to others. Some learners need to know how to format large workbooks, for ease of data analysis. Others only have smaller workbooks to work on. They may need to know how to create simple formulas and functions. Some learners need to be able to create formulas across worksheets and workbooks. For others this is not relevant. Some learners may want to be able to use the Scenario Manager and Solver utilities. We provide Microsoft Excel 2010 training courses, Microsoft Excel 2013 training courses and Microsoft Excel 2016 training courses. 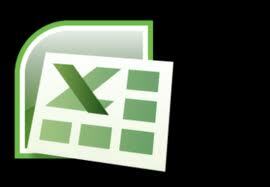 All our Microsoft Excel training courses Feltham are tailor-made to suit the needs of the individual or organisation. However, you will find our costs are no higher than for a standard course. In general, we divide our Microsoft Excel training courses Feltham into three levels – Introductory Excel training, Intermediate Excel training and Advanced Excel training, though our course outlines are very flexible. Our Microsoft Excel training courses Feltham, are available not only in Richmond, but in all surrounding areas! Although we include links to Microsoft Excel training course outlines below, all training can be adapted to the needs of the individual or organisation and we would encourage you to think about what you actually need from the training and contact us to discuss.